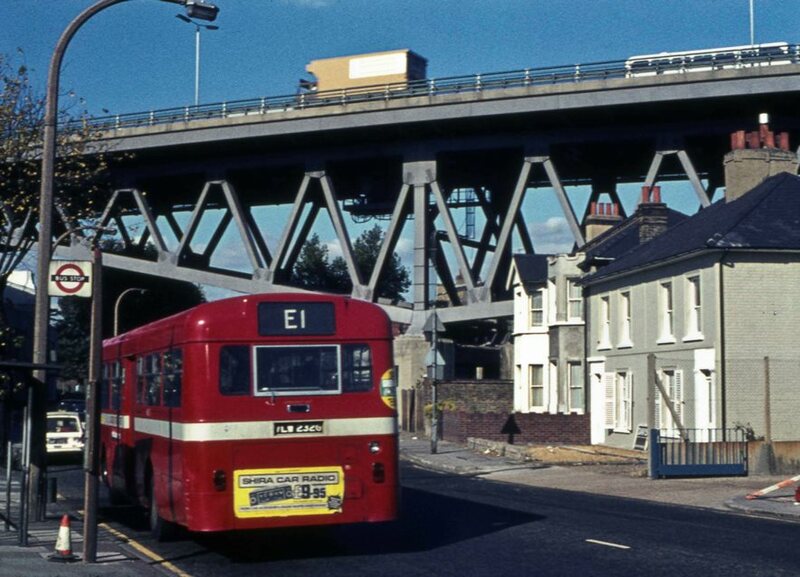 Peter Young took this photo on 19th October 1972, an autumnal blue-sky day. The M4 viaduct appears to pick its way between the houses; too early for double glazing, it must have been a noisy place to live. In the foreground is the E1 bus with an advert for Shira Car Radio at £9.95, now described as 'vintage', search online for more details.